While visiting a church a few weeks back I heard something I’ve not heard in many years: a sermon on predictive prophecy. Not a general sermon on the Second Coming, the final judgment, or the joys of heaven, but a sermon on the grind-it-out details of eschatology from the book of Zechariah. I grew up with a steady diet of biblical prophecy. The books of Daniel, Zechariah, and Revelation were perennial favorites. The late 1970s and early 1980s, as I remember them, were troubled times, and as Stan Gundry aptly pointed out back then, this kind of climate had a tendency to make believers long for a day when God will bring this troubled world to its conclusion and flex the muscles of his sovereignty to set things straight. So we got a lot of preaching on prophecy when I was a youth. Preaching predictive prophecy keeps the present in proper perspective. When we focus entirely on the present, our scope of reality has a tendency to narrow inordinately. We start to think with a sort of forward-looking uniformitarianism, i.e., that the present is the key to the future. But that’s not true. What we imagine today to be “reality” will undergo sudden, explosive changes at some future point and what seems important now will suddenly come into proper perspective. Preaching prophecy helps us to see the present in the light of the future. Preaching predictive prophecy keeps our affections properly aligned. Preachers who make much of predictive prophecy and especially those of a premillennial, pretribulational bent are often accused of being “escapists”—other-earthly and countercultural dreamers so eager to leave that that have lost all practical value for the present. But while the “desire to depart and be with Christ” can surely be emphasized to the neglect of the fact that “it is more necessary that I remain” (Phil 1:23), we should not forget that the former is “better by far.” We should, as Paul, be “torn” between the two options. A far greater problem than escapism in today’s church, I would hazard, is the unnatural ambivalence of Christians toward their “departure” and neglect of preparation thereto. Better a homesick alien, stranger, and pilgrim than one who has been taken captive to this world, who has lost all interest in escape, and who has developed a sort of spiritual Stockholm Syndrome that empathizes with and craves this world more than the next. Preaching predictive prophecy keeps the climax of history in view. 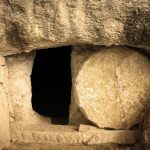 Modern evangelicals have rightly deduced that the death and resurrection of Christ enjoy a central place in the biblical story line that is rightly to be emphasized. But it surely is not the whole story, much less the climax of the biblical story line. The Day of the Lord, complete with the crushing of the nations, the purification and salvation of Israel, the revelation of the warrior-king Jesus Christ in unparalleled power, glory, and pomp, and his ascent to the throne of the world as King of kings surely must not be relegated to the periphery! Preaching predictive prophecy keeps the mission of the church intact. A few years ago, Don Carson was asked how to keep the mission of the church in proper balance, and his response was spot on. He said, “Preach Hell.” His point was that preaching to humanity’s ultimate need keeps their temporal needs in proper perspective and keeps our message to the world properly evangelistic. I’d like to expand his answer. Preach Hell to the world, yes, and also preach Heaven to the saints. Preach the Rapture. Preach the Time of Jacob’s Trouble and the Purgation of Israel. Preach Armageddon. Preach the Incarceration of Antichrist and Satan. Preach the Second Coming. Preach the Kingdom. Preach the delivery of Christ’s Kingdom into the hands of God the Father after he has destroyed all dominion, authority and power, including death, and God is all in all. And don’t just preach in vague generalizations about eternity, sovereignty, and judgment. Preach the details too. Tell the story. Better, paint the story in vivid relief and give stamp that image upon the imaginations of your listeners. Do this successfully, and it will remain there forever. And the benefits of that practice will be substantial. Mark, Are there any books that you would recommend to aid in preparing and preaching predictive prophecy? Thanks for the admonition/exhortation! Great reminders of the importance of the entirety of Scripture, especially eschatology. Justin, I can point to chapters in Greidanus, Fee/Stuart, Sandy/Giese, etc., but nothing that is particularly compelling to me, especially as a dispensationalist. Chisholm and Bullock offer some homiletical tidbits in their introductions to the prophets, but nothing that approaches a formal treatment of preaching biblical prophecy. I would be very interested if any other readers wish to chime in on this point. Right now I’m thinking that there may be something of a gap in the literature here, but feel free to prove me wrong. Is “spiritual Stockholm Syndrome” a Mark Snoeberger original? I may quote this in the future, and want to give credit where it is due! That is an attention getting phrase! Excellent! Thanks for a great reminder well-stated! I’m assuming you’d agree that there are some details related to predictive prophecy that Scripture doesn’t address with sufficient clarity for us to speak about with certainty. I wonder how you you handle that level of uncertainty as you tell the story. I also wonder whether you’d agree that preachers can focus so much on the predictive elements that they miss the theological message of the text and its implications for the congregation. Ben, the pulpit is not, of course, a place for speculating, much less speculating dogmatically. And of course any text may be mismanaged so as to be imbalanced either toward the historical context (the past), the contemporary context (the present) or the predictive context (the future). So yes, I would agree that both of your concerns are valid homiletical concerns. But I wonder if you might be asking something more (and correct me if I’m wrong), namely, whether it is wise to preach the biblical details of predictive prophecy when there is a lot of interpretive disagreement about those details. To me this is not a good reason to not preach them. 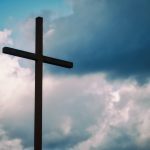 These details comprise a rather hefty percentage of the Bible, and I really feel uncomfortable excising them from my preaching repertoire just because their interpretation is debated. These details are a part of the whole counsel of God (and a fairly substantial part). It won’t do to ignore them or reduce them to broadly accepted generalizations. So, in short, I preach the details of eschatology the same way I preach the details of any other debated Scripture—even when I defend minority positions in the believing church at large (like, say, believer’s baptism by immersion or the doctrines of grace). I preach these details because I believe, after careful study, that my interpretation of the pertinent texts is the most defensible one. Naturally, I must grant due deference to believers with whom I disagree, and certainly must not impugn their Christian standing; but I think it’s a mistake to completely avoid these topics out of deference for the many believers who disagree with me. You ask whether I’m skeptical whether it’s wise to preach the biblical details of predictive prophecy when there is a lot of interpretive disagreement about those details. That’s really not what I’m arguing. Interpretive disagreement might suggest some caution, but then again, the prevalence of disagreement isn’t going to affect what I preach about, say, John 6. 1) Did God reveal enough in Scripture for us to reach a valid conclusion on a predictive element? 2) Are we interpreting what God has revealed accurately? 3) Is our attention to predictive elements overwhelming the primary theological message of the text? All our experiences are different, of course, but a strong majority of the preaching I’ve heard from texts with predictive elements (regarding events still in the future) seems to me to have given far too little attention to the first and third questions, particularly the third. In many cases, the theological message gets buried in the future details. It’s as though many preachers are more interested in believers knowing what’s going to happen in the future—after they’ve been raptured, perhaps—than in how believers ought to believe and live now in light of how the story ends. I am currently in Zechariah 13 in my PM series. It is my belief that prophecy has not been given us so that we can try to guess what God will do next. It is given us so that we can see how great is our God. We are not to spend our time trying to determine the who and when of prophecy. However, we can look back at the prophecies that have come to pass and recognize that God made them happen just as He said He would. Then we can worship that Omnipotent God who could do this, the Omniscient God who knew it would come to pass, the Faithful God who kept His promises and so on. Before Jesus, there were many prophecies about Him but few truly understood them. Yet, when Jesus did come, His response was not that it was OK that the Jews did not recognize Him. His response was that he fully expected they would have and should have recognized him. Hence, it would seem that God expects that we recognize prophecies when they come to pass. I think that when it comes to preaching and teaching about future prophecies, we do not have to get it all right. I think the goal is to teach the prophecies and interpret as best as we can. However, it is not the interpretation that we should be dwelling on, but the prophecy itself. Hence, I can teach from Revelation and have an interpretation of that fatal wound that was healed (Rev 13:3). Yet, even as I teach this interpretation, the important thing is that those listening know that a head on the beast was fatally wounded and was healed. This way, people will learn the prophecy, even if it is not interpreted 100-percent correct and when it comes to pass, they will recognize it and glorify God. Mark, I’m not sure where I’ve suggested that we should “stop preaching prophecy or to reduce the prophetic record to broad generalizations about God’s sovereignty, judgment, or faithfulness.” And I certainly haven’t argued that we shouldn’t get it right. That’s actually my central concern. I’m wondering whether there’s anything I’ve said that you disagree with. You seem to be arguing with things I haven’t said. I’m surprised that anyone would find anything I’ve said to be controversial. I’m assuming that you’d agree that there are some elements of predictive prophecy that we can’t identify with certainty. How many and which elements those are is clearly a valid hermeneutical debate. As Peter taught us, not even the OT prophets understood everything about how their prophecies would take shape. I hardly think we should be surprised if we’re not capable of understanding everything about the prophecies we read. Agreed that Bible prophecy has been preached poorly…but it has also been preached well! Just to clarify my point – though I understand that I may not be preaching prophecy at a rate of 100-percent correctness, I believe I am. My openness to the possibility I might be wrong about an aspect of prophecy does not alter my passion to preach it. I like to say that I may be wrong, only the future will tell…and then you will see that I wasn’t! (it’s funnier spoken than read…). In terms of details, it is the details that capture the hearts of the hearers. So it is important that we do go into details. My point is that we recognize that we are not teaching David’s ideas, but Biblical truths, so “here is my interpretation” is important, but more important is the reading and recognition of the prophecy itself – ie – teach the details, but emphasize the prophecy.